Many people ask me what is denim fabric and what is the difference between denim and jeans. For your better understand I have written this article. Actually, denim is a special type of fabric made from 100% cotton fiber but sometimes denim is blended with spandex and polyester. Denim is manufactured by twill weave. Blended denim fabric has a very good stretchability, comfortable wear. The denim fabric was introduced by Levis Strauss. Basically, denim is used for making jeans (pants, jacket). Blue indigo color is normally used for coloring denim. The popularity of denim product is increasing day by day. Because denim is fashionable and comfortable to wear. Teenagers prefer denim as a part of their commonly used garments. Lots of research and development has been done on denim and now you are getting world class fashionable, stylish denim jeans, and jackets. It will give you a classic look. 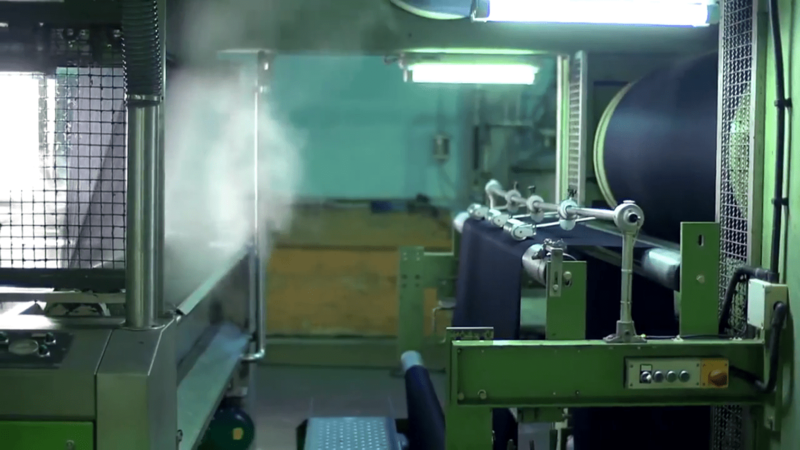 You may eagerly want to know how denim fabric is made and what are the steps involved. The difference between denim and jeans is, the fabric used for making jeans is known as denim. The denim manufacturing process starts with using cotton and finally get denim fabric which actually passes the quality check. 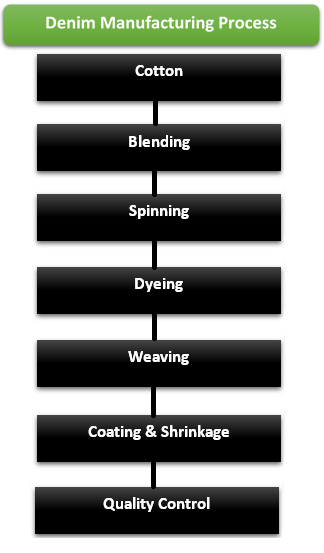 The process is as follows: Cotton, Blending, Spinning, Dyeing, Weaving, Coating & Shrinkage, and Quality Control. The route cotton comes from fields all over the world. The length of cotton fibers determines the toughness of the denim fabric. However, the length of the fibers is different from one bale to another. To ensure consistent quality the cotton is blended the layer scraped off each bale and drawn into the mixer. Here all impurities such as seeds and weeds are filtered out. The pure blended cotton fibers are then combined and poured into a thick rope called a sliver. Now cotton is clean and consistent but not very strong. Six cotton slivers are stretched and combined creating one strong yet slimmer sliver. This sliver is then pulled and twisted into a strong thread. For stretch denim elastase which is a kind of rubber is twisted into the thread creating a thread with stretching ability. The threads are collected on large barrels to prepare it for dyeing. Most jeans are colored in the characteristic blue indigo color. Indigo is among the oldest dyes used for textile dyeing and originates from the Indigo Ferrer plant. The threads are dipped in large tubs with indigo color and pulled up in the air on large drums when indigo reacts with the oxygen it turns blue the threads are dipped repeatedly until the cotton threads have an intense dark blue color. The color creates a coating around the thread. The thread is still white inside giving denim its characteristic faded white look when worn. 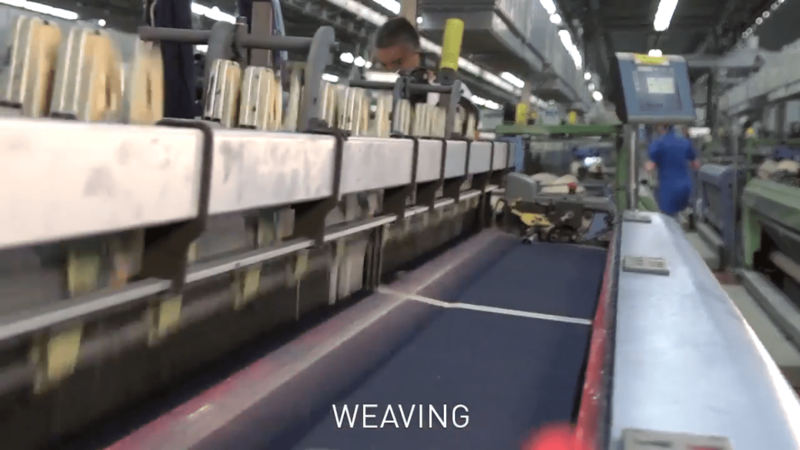 In this stage, colored threads are weave to make denim. If you look closely at your own pair of jeans you can see the twill pattern of blue and white threads the blue threads called the warp is pulled up and down on the loom and a white thread called the weft is shot back and forth from the entire length of the loom creating the denim pattern. The most common weave is a three by one meaning that three warp threads are visible for every weft thread that is why the weft is more visible on the back side of the fabric. Another type of weaving is Salvage used in RDD collection, salvaged denim is made the original way on old shuttle looms dating back to the 1950s. The production speed is much slower than modern looms reducing the tension on the yarn creating a softer feel and more durable fabric. These old looms require more skilled workers and are only produced in Japan and Italy because of their long tradition and jeans manufacturing. To prevent the fabric from twisting after it’s sewn into jeans its softened and stretched. The denim is also heated and shrunk to make sure the jeans stay the same size after it’s sold. Before the denim leaves the fabric mill it undergoes a strict quality control here any defects or variations of color and the fabric is detected at consistent quality denim is necessary to jack and jones quality in jeans. Hopefully, after reading this you understand what is denim and how denim is made. If you have any confusion then please let me know. 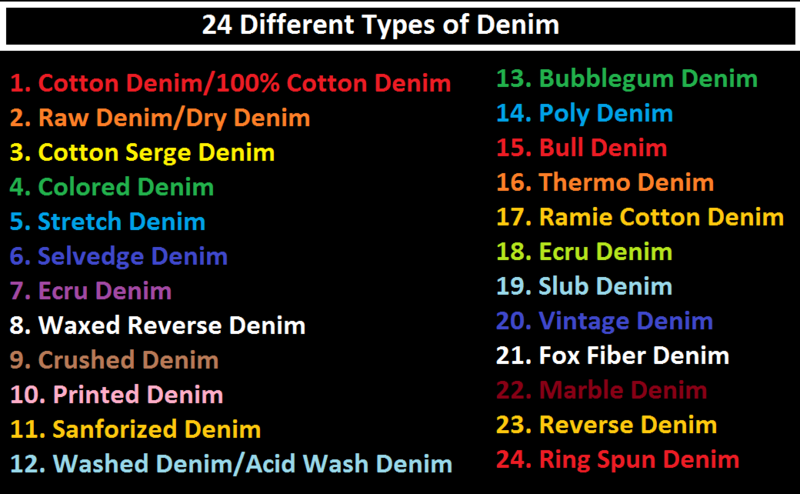 After researching around the web, we have found 24 different types of denim used in different reason in the world. Actually, these types are the detailed breakdown of the different nature of denim fabric. Although denim is used for making jeans jacket, shirt, and trouser. We can see there is various use of denim. Here is the list of denim products which are commonly made of denim. Tagged 12 Qualities of a Fashion Designer, 24 Different Types of Denim, Blending the Cotton, Coating and Shrinkage of Denim, Collection of Cotton, Denim, Denim Definition, Denim Fabric Manufacturing Process, denim making process, Denim Manufacturing Process, Denim Product, Denim Types, Denim Types List, Different Denim Products, Different Denim Types List, Different Types of Denim, Different Types of Denim Product, Dyeing or Coloring of Denim, Dyeing or Coloring of Thread, How denim is made, Manufacturing Process of Denim, Quality Control of Denim, Spinning of Cotton, The Denim Fabric Manufacturing Process, Types of Denim, Types of Denim Product, What is Denim, What is denim fabric.